A double whammy from Hurricane Irene and Tropical Storm Lee drenched the east coast over the past two weeks leading to swollen rivers, flooded valleys and the destruction of roadways, bridges and buildings from Vermont to Maryland. As communities in eastern and central New York, from the southern Adirondacks to the Pennsylvania border, continue to struggle under the deluge, Cornell Cooperative Extension has information that can help. The New York Extension Disaster Education Network, or NY EDEN, is a collaborative network based at Cornell dedicated to educating New York residents about preparing for and recovering from natural disasters. 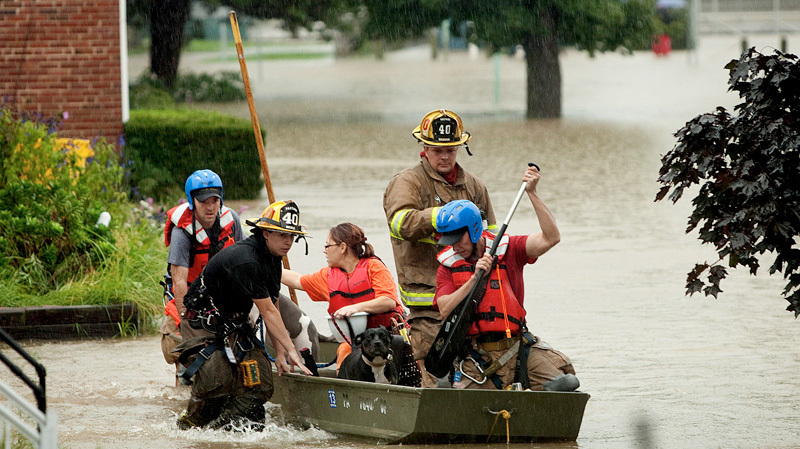 Over half of all flood-related drownings occur when a vehicle is driven into hazardous flood water, according to the Centers for Disease Control. That’s because most people underestimate the force of flood water. It takes only two fee of rushing floodwater to carry away most vehicles. So if you come across an area covered with water, turn around. Check for cracks in the foundation, shifted walls and a roofline out of position before re-entering a building that is flooded. Turn off the electricity in a flooded building before touching any electrical devices or walking through a flooded basement. Stay safe and don’t forget to refer to the evidence when cleaning up after a flood!